The American of Cuban origin Armando Christian Perez also known as Pitbull is one of the most successful rappers today. 2009 saw the release of his album Rebelution with the hit I Know You Want Me, which still remains one of the most popular compositions at any party. Pitbull explains his pseudonym choice with the fact that he had to fight constantly like in a dog fight without ever accepting to loose it, on his way to expressing himself in a free way and being recognized in the world of rap. The obstacles on that way had to do most of the time with his Cuban origin, blue eyes’ color, the variety of his music interests and tastes and of course the original approach to music which is justifying itself today as much as it can. Last year the musician released his first Spanish language disc Armando, the single Bon Bon from which has become a world wide hit, and the artist definitely is not going to make a full stop at that point. 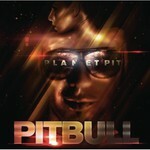 In order to prevent party goers from feeling bored this summer Pitbull is releasing his sixth studio album Planet Pit. It is a collection of well-done club hits absolutely each of which has been considered as a potential single, which is why failures are completely excluded on this record. The musician with whom only lazy artists do not collaborate today can call himself Mr. Worldwide quite rightfully – it is exactly the title of the traditionally self-affirming and proud introduction featuring Vein. This summer Pitbull’s voice will be definitely heard everywhere, which can be easily explained. The album Planet Pit’s producers among which David Guetta, RedOne, Dr. Luke, Soulshock and Jim Jonsin have done everything so that all the album’s tracks could become new dance hits. The record has only one shortcoming in this respect: it is somewhat monotonous compared to Armando Perez’ previous works. The pulsating dance beat of club compositions are dissolved by one song only reminding of a ballad, the melodious Castle Made Of Sound featuring Kelly Rowland and Jamie Drastik. Nevertheless, Planet Pit will undoubtedly occupy a most worthy position among dance music collections. The singles Give Me Everything, performed with Ne-Yo, Afrojack and Nayer, and Hey Baby (Drop It To The Floor) featuring another club hits creator T-Pain have certainly drawn a great deal of attention to the album and quickly smashed the world charts. Besides, one can simply look through the track list to realize how many guest vocalists have worked on the album. They are Mark Anthony who has refined the song Rain Over Me with his high emotional vocals, Enrique Iglesias shining on the track Come N Go with frank lyrics, Jamie Foxx singing the chorus on Where Do We Go against the background of quite a simple but contagious beat. Dance hall king Sean Paul and T-Pain add fire to the track Shake Senora, and on the most successful on the Deluxe Edition is the collaboration with Akon called Mr. Right Now. It is no secret that the lyrics of danceable compositions are rarely deeply thought and can hardly boast any unexpected witty stylistic devices and rhymes. Pitbull’s sixth album is no exception in this respect: almost everything on Planet Pit deals with relationships between sexes, entertainment and the performers’ bravado. The only deviations are Rain Over Me and Castle Made Of Sand: the themes of sadness and disappointment with love do remind the listener of what the record’s greatest part calls one to forget. Thus, despite the sexual message repeated from one track to another, the Planet Pit creation is another step forward for Pitbull, who has significantly enlarged his list of collaborations and, most importantly, recorded songs perfect for hot dancing in any situation. We can probably expect more such creations from the performer who has reached big heights in a fair trade and become one of the most wanted rappers of the present days. As for Pitbull himself, he in his turn is going to receive some more various awards and invitations and be simply happy realizing his own success.